This site is owned and operated by Michael Butterfield, a writer who has conducted extensive research on the Zodiac case since the 1990s. As a recognized leading expert on the unsolved crimes, he has served as a media source and consultant for news articles, television documentaries, the History channel series The Hunt for the Zodiac Killer, and director David Fincher’s major motion picture Zodiac. Michael Butterfield appears in the Zodiac documentary Case Reopened, the History Channel series MysteryQuest, the E! Canada series The Shocking Truth, the Reelz channel documentary The Real Story of Zodiac, the HLN series Very Scary People, and the podcast series Monster: The Zodiac Killer. He is also a contributing author for True Crime: Case Files, True Crime Magazine, and the two volume collection of essays titled A History of Evil in Pop Culture. 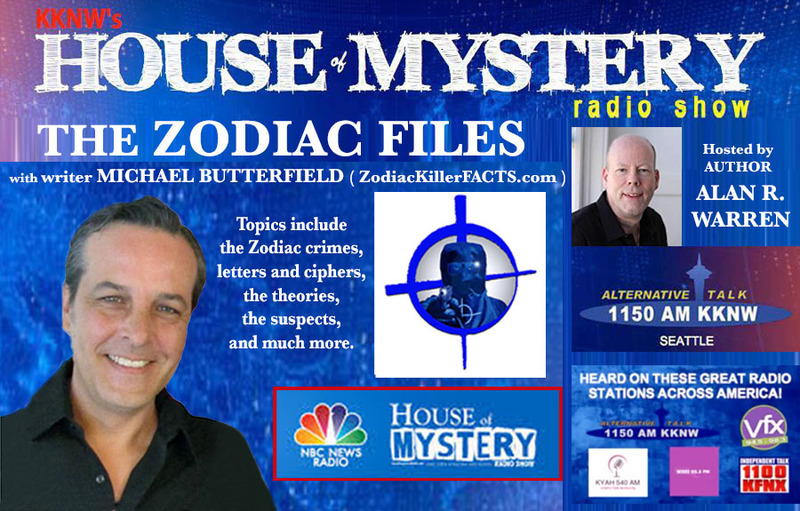 Michael Butterfield and author/host Alan R. Warren discuss the Zodiac case and other true crime stories in the House of Mystery radio series The Zodiac Files. CASE REOPENED, a 3-part mini-series featuring authors Lawrence Block, Ed McBain, and Joseph Wambaugh. Originally broadcast on The Learning Channel in 1999. Detective Bill Baker, Santa Barbara Sheriff’s Department, investigated the 1963 murders of Robert Domingos and Linda Edwards. Bill Baker and Michael Butterfield discussed the theory that the Zodiac may have been responsible (at Lake Berryessa, the scene of a similar attack by Zodiac) during production of the A&E television series COLD CASE FILES, 2003. Pierre Bidou, retired chief of the Benicia police department, described the events on the night of the first suspected Zodiac murders on Lake Herman Road in December 1968. Retired Vallejo police detective Ed Rust shared his memories of the crime scene at Blue Rock Springs Park, the location of the second “Zodiac” attack in Vallejo, California. Retired Napa County Sheriff’s investigator Ken Narlow with writer Michael Butterfield in 2003, and in 2009, with investigator Paul Holes at the scene of the Zodiac attack at Lake Berryessa. Paul Holes explained various methods used to obtain valuable evidence from shell casings and bullets, and he also offered his thoughts about the Zodiac’s last known murder in San Francisco. ZODIAC: THE SHOCKING TRUTH, original broadcast on E!Canada/the Reelz channel, March 6, 2017. THE REAL STORY OF ZODIAC, original broadcast on the Reelz channel, February 6, 2018. The 15-part podcast series MONSTER: THE ZODIAC KILLER premiered January 3, 2019. 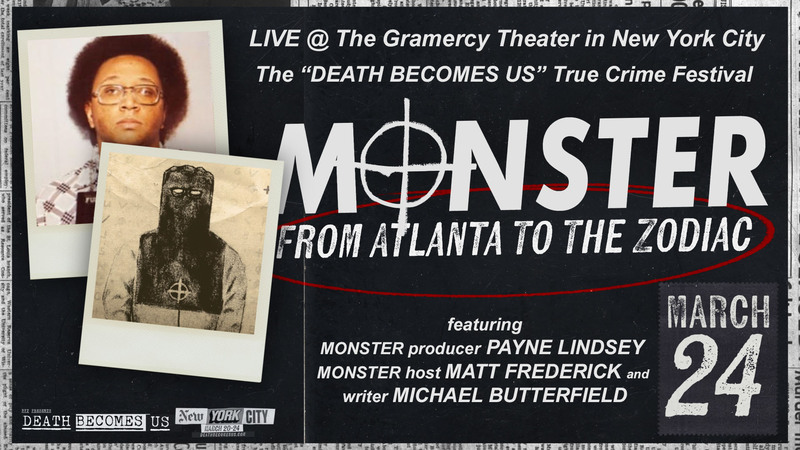 The MONSTER crew: Creative producer Meredith Stedman, producer/narrator Matt Frederick (iHeartMedia), Michael Butterfield (ZodiacKillerFacts.com), executive producer/host Payne Lindsey, and executive producer and co-founder of Tenderfoot TV Donald Albright. 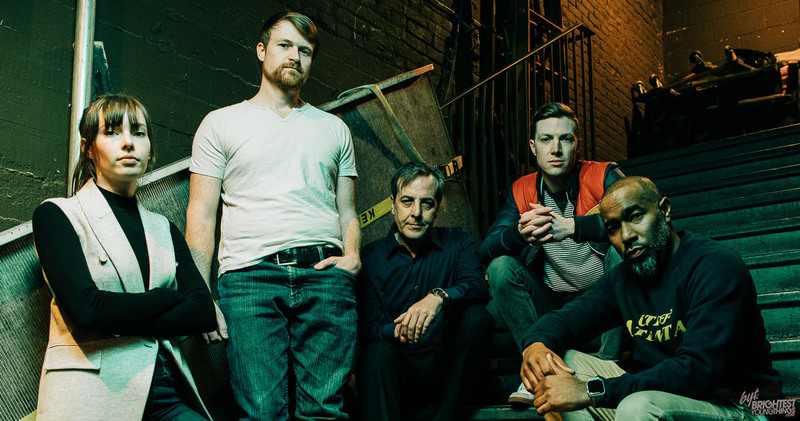 Photo by Nicholas Karlin, Karlin Villondo Photography.